The Commonwealth National served as a successful season opener for the 2018 HITS Culpeper Circuit. Exhibitors are already on the hunt for blue ribbons in our featured classes and earning points toward the Horseware Ireland Grand Circuit Champion Awards. With the trees blooming and sun shining, we could not have asked for a more beautiful week to kick-off the circuit. 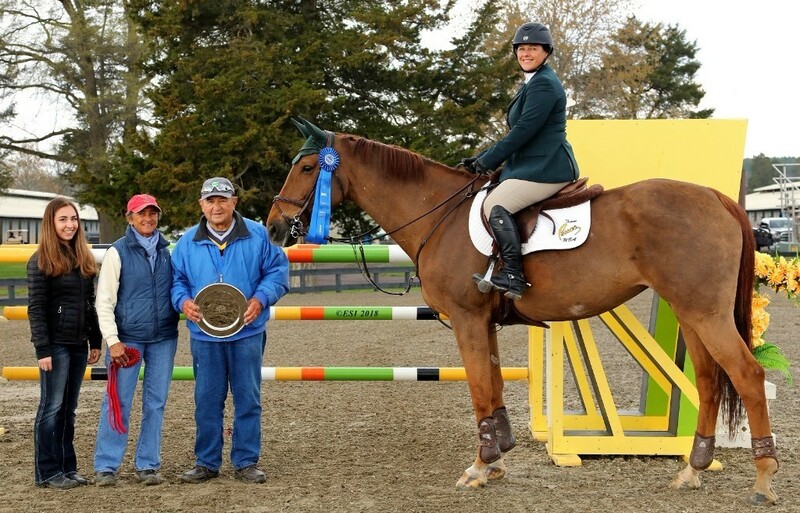 Riding home with a “three-peat” in our feature jumper classes this week was Tracy Magness and INTENZ VAN HD, known around the barn as “Candy”. This dynamic duo kicked-off the week with a win in the $5,000 Open Welcome in a time of 38.300. Magness also took home the second place ribbon in the class aboard SANTOS in a time of 38.971. Grace Long would take home the third place award aboard TALKS CHEAP in a time of 39.506. Magness and INTENZ VAN HD, continued their success on Friday in the $10,000 Johnson Horse Transportation Prix jumping off in a time of 43.330. Magness also took home the third place ribbon with SANTOS in a four-fault time of 44.642. In second place, with four faults and a time of 43.698 was Tamara Morse and RAVENNA ADELHEID Z. To cap off a stellar week, Magness and INTENZ VAN HD captured the blue ribbon, trophy, and winner’s cooler in the $20,000 HITS Open Prix. Just one of the two riders to jump off, Magness claimed top honors in a time of 39.401. “Candy is a 10-year-old and I have had her since the end of her 8-year old year. She has been really consistent and she’s just really a trier,” Magness commented. “My plan with Candy was to improve what I did on my first horse [SANTOS], which was pull too much. I just wanted to be smooth and give her a better ride,” Magness stated when discussing her round. “There was an inside turn after the first line in the jump-off that I had planned to do if there were more clear, but she [Beth Underhill] didn’t do that and I know that Candy is quick and can cover the ground faster.” Magness and INTENZ VAN HD took home their first Grand Prix win right here at HITS Culpeper during the Culpeper Finals in 2017, with their hard work and determination this team is definitely one to watch in 2018. Taking home second place was Beth Underhill and COUNT ME IN, crossing the finish line in a time of 42.659. Rounding out the top three was Tamara Morse and RAVENNA ADELHEID Z with a first round time of 82.503 and four faults. 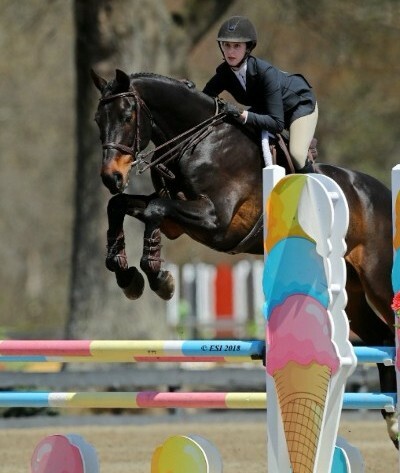 Hanna Toering and COQUETTE BHF could not be caught in the $7,500 Junior/Amateur 1.40m Jumper Classic. Toering crossed the finish-line in a time of 41.868, followed by Michael Kennedy and GENTLEMEN in second place with a time of 45.958. 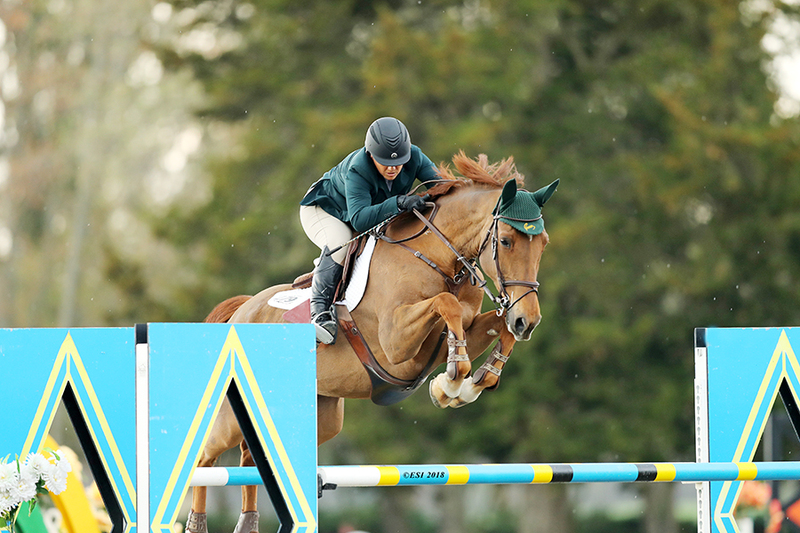 Although Felicia Russell and HABSBURG 2 would not make it back to the jump-off, they would secure the third-place ribbon. 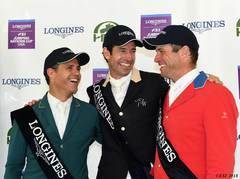 Riders have begun qualifying for the HITS Championship that takes place September 5-9 in Saugerties, New York. 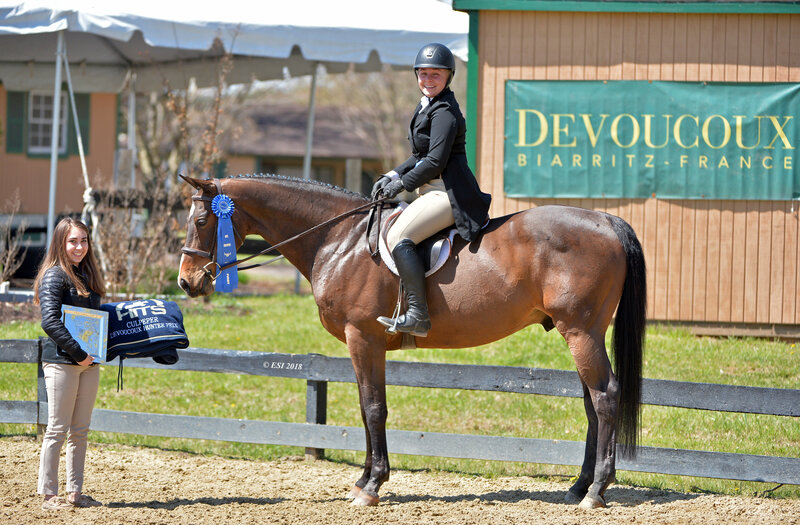 Each week of the HITS Culpeper Circuit, featured hunter classics serves as qualifying classes for the prestigious finals. Taking home top honors in the $1,500 Devoucoux Hunter Prix was Danny Mahon and RONALDO with a score of 74 in Round One and a score of 80 in Round Two, for a two-round total of 154. Mahon also took home the third place ribbon aboard CHOPPER 5. Taking home the second place honors was Ashley Helms and FRED-A-STARE with the high score of 75 from Round One and a 73 in Round Two for an overall score of 148. Besting the field in the Culpeper Equitation Classic with a score of 83 was Jordi Gray. Taking home the Reserve Award in this class was Anna Ordonio, scoring a 70. All results from the Commonwealth National are available online. To keep up with everything happening at HITS, visit us online at HitsShows.com or follow us on Facebook, Twitter, and Instagram. 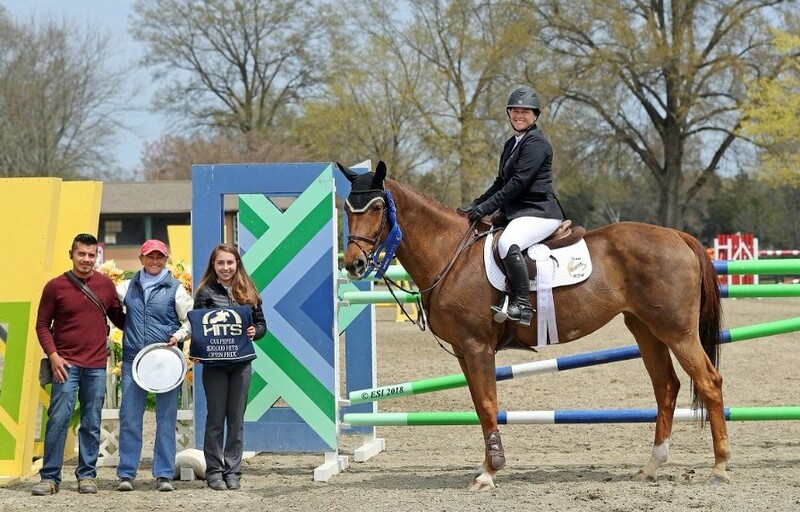 HITS returns to Commonwealth Park in July for the Showday National and Cavalier Classic. Don’t forget entries for these weeks close on June 13. Try our Online Entry System today and get on your way to HITS Culpeper.